The bulls have all been fed together from the first week in Oct to sale day. The ration consists of ground corn, ground hay, silage, and an all-natural wheat and soy protein supplement from Cache Feeds. Our goal is to average 3.3 pounds A.D.G. We do keep average daily gain records, but this is not a feed test to see which bulls grow the fastest. 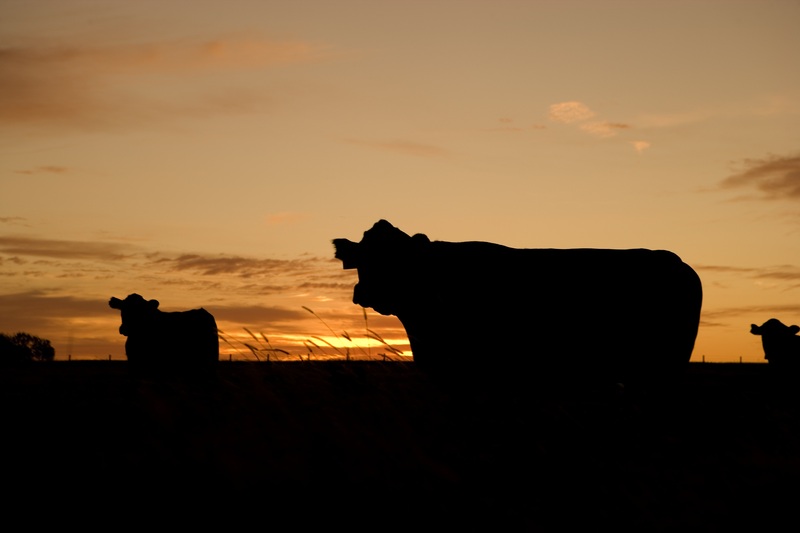 We believe that fat bulls, or bulls that gain too fast, are prone to have problems in the future. 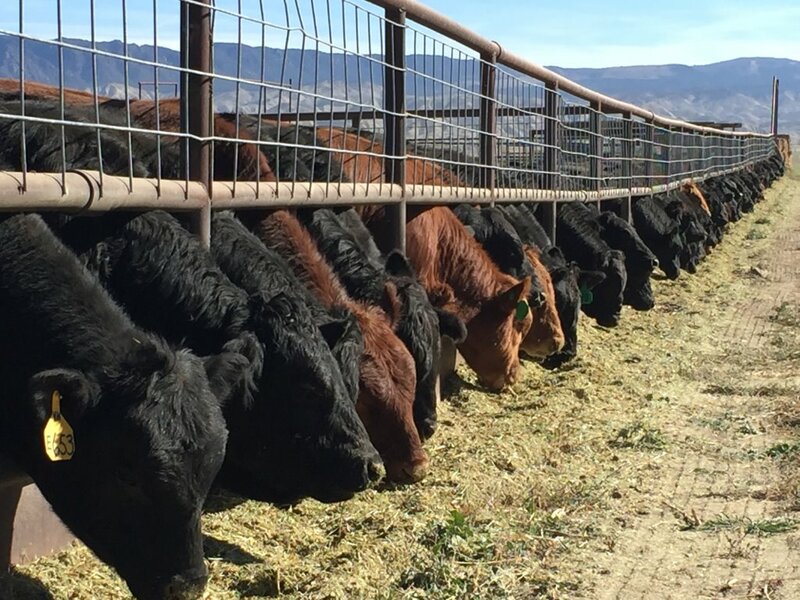 The 3.3# per day gain is enough growth for a group, knowing some will exceed this rate due to genetics or due to the bull’s ability to consume more feed or convert feed to pounds more efficiently than others. Good temperament and environment also play a role in average daily gain. The average daily gain will be available sale day. Prior to entering the feedlot, the bulls were given Vista Once SQ or Bovi-Shield Gold One Shot or Pyramid 5 Plus Presponce SQ and a 7 or 8-Way with somnus. 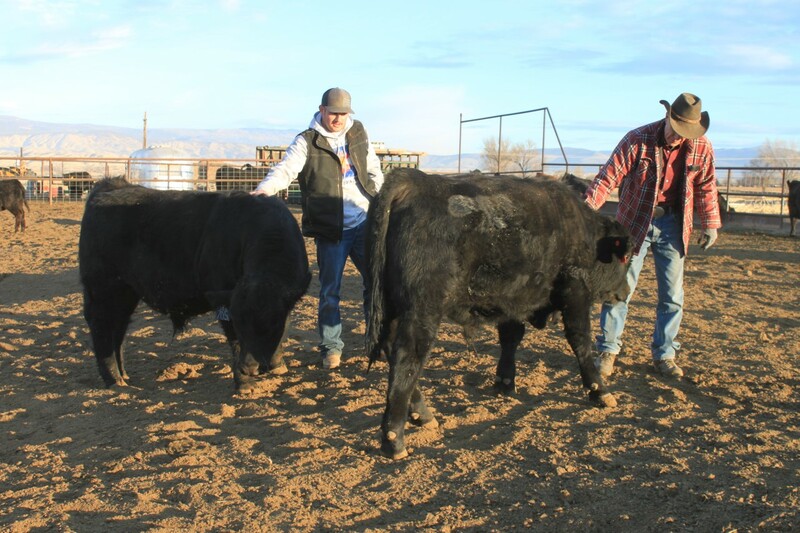 In the feedlot, the two year old bulls and yearling bulls have been vaccinated with Inforce 3, Myco-Bac B, and Fusogard, poured with Dectomax, and Clean-Up II. All bulls selling will have passed a comprehensive fertility test by David Kuntz, DVM. This includes collection, sperm count, morphology, motility, and scrotal circumference measurement. The scrotal circumference is directly proportional to the age of puberty in that bull’s daughters. The larger the scrotal size, the earlier the puberty. As of now there is no adjustment for age, but 32 cm for a one year old and 36 cm for a two year old is a good standard. Remember that a nine month old bull will have a good scrotal size at one year if he measures 29 cm. Scrotal measurements will be available sale day. The P.A.P. testing is done by Dr. Tim Holt of Fort Collins, Colorado. P.A.P is an indication of a bulls genetic ability to tolerate high altitudes. The higher the P.A.P. score the lower the altitude the bull should be maintained at. Bulls that develop brisket may or may not have a genetic problem, but may be the result of an environmental influence such as sickness, feed, or stress. Dr. Holt recommends that bulls with a P.A.P. score of greater than 48 be used at elevations lower than 6,000 feet. All “Pot of Gold” bulls sold will have been tested for trichomoniasis and PI-BVD and found negative.